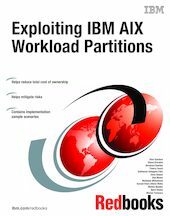 This IBM® Redbooks® publication provides an update of the latest AIX Workload Partition (WPAR) capabilities. It provides a how-to guide and well-defined and documented deployment model for system administrators and architects using WPARs in AIX® Version 7.1 within an IBM POWER® System virtualized environment. This book helps clients create a planned foundation for their future deployments. This book is targeted toward technical professionals, such as business intelligence (BI) consultants, technical support staff, IT architects, and IT specialists, who are responsible for providing solutions and support for IBM POWER Systems and IBM AIX Version 7.1.